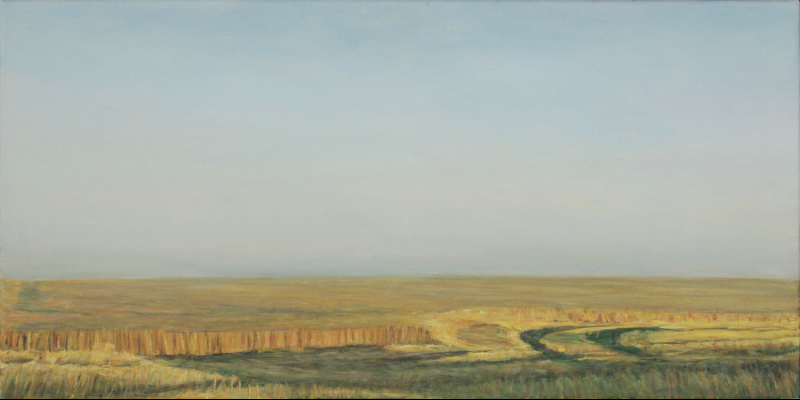 Originally from Colorado Springs, Colorado, Mr. Beamsley has seen many parts of the open West by car, train and bus. 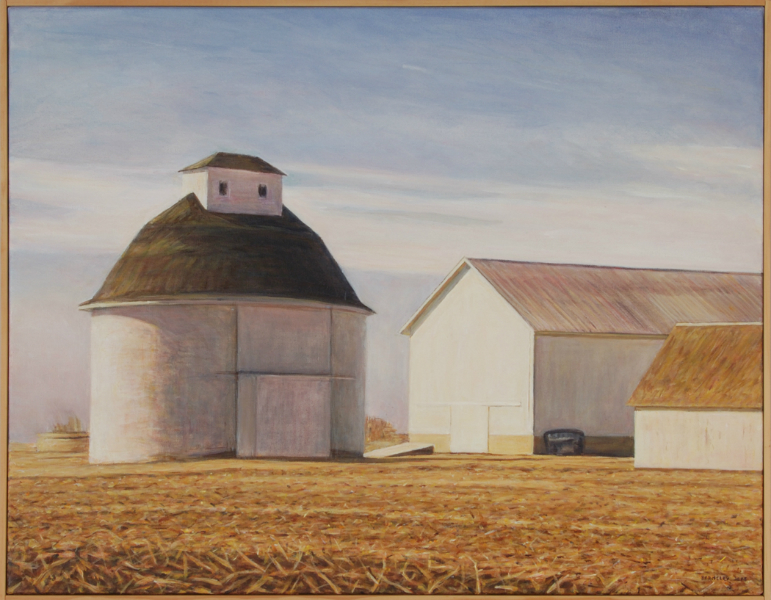 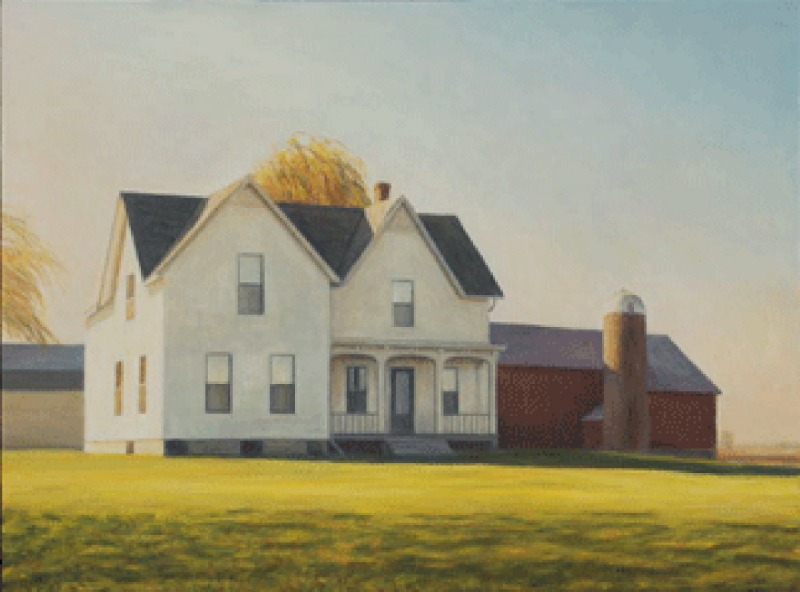 Now a Sycamore, Illinois resident, he has been painting rural DeKalb County since 1970. 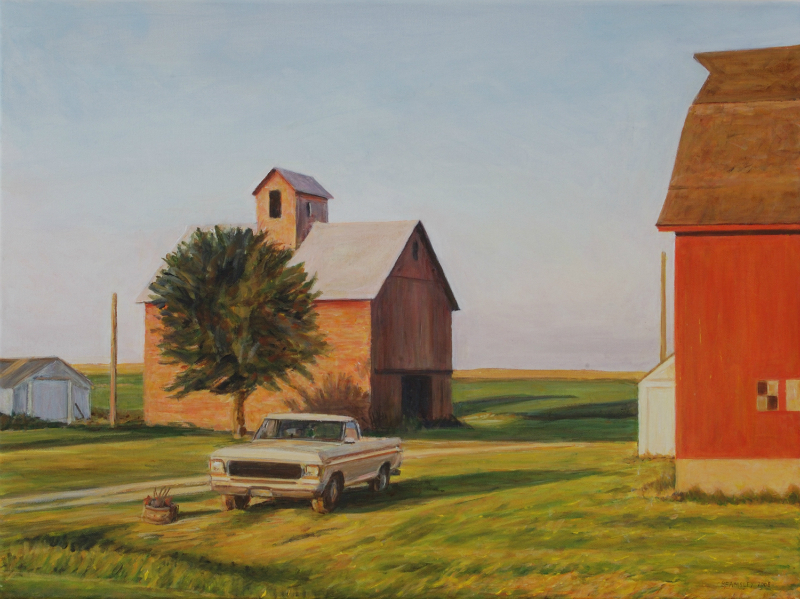 When he commuted into Chicago to work at Montgomery Wards he noticed how the rural landscape was changing dramatically with the decline of family farms and the growth of urban sprawl. 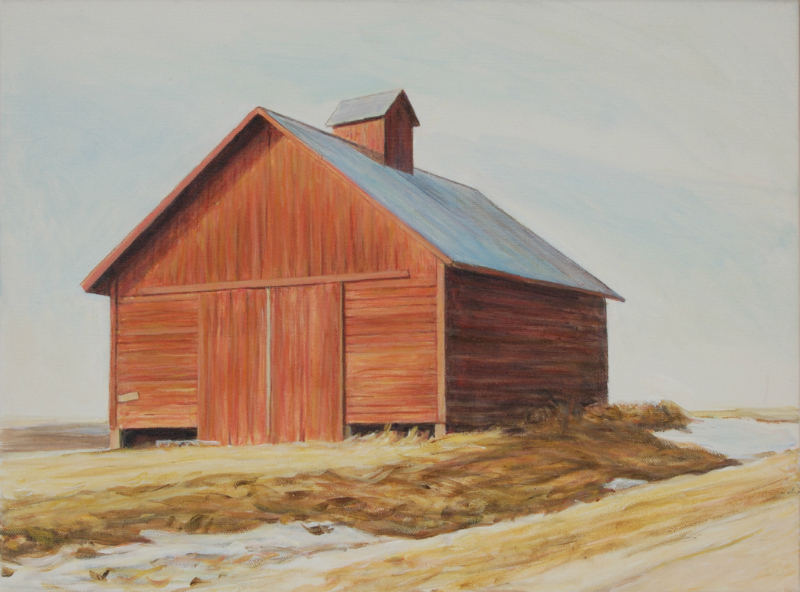 He photographed the local rural countryside, and is still working from these images even though many of the farm buildings no longer exist, except in peoples’ memories. 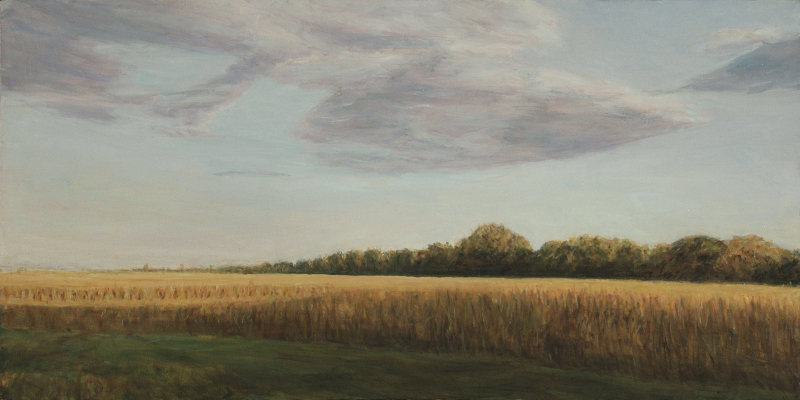 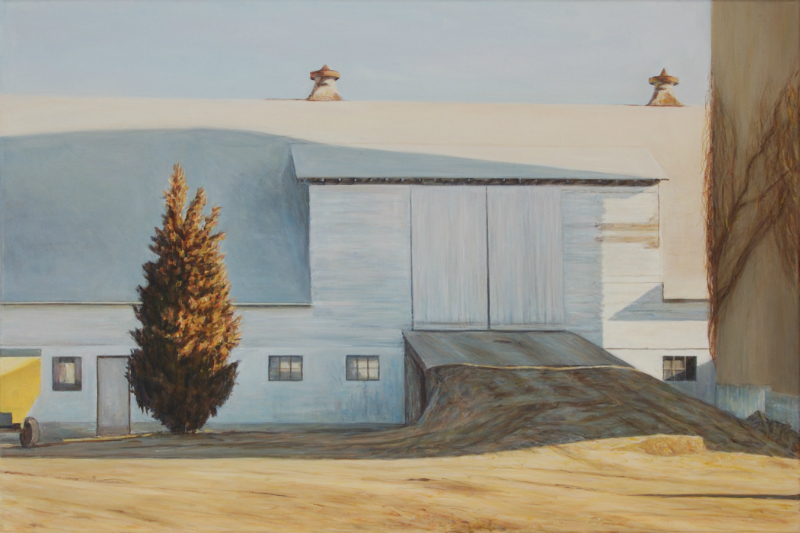 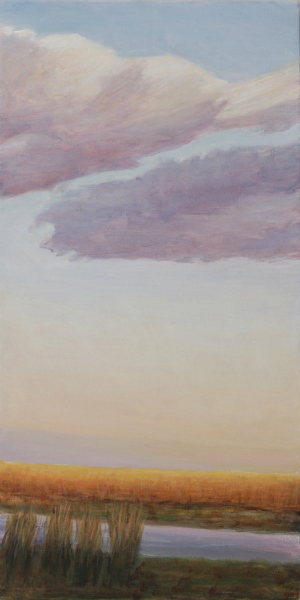 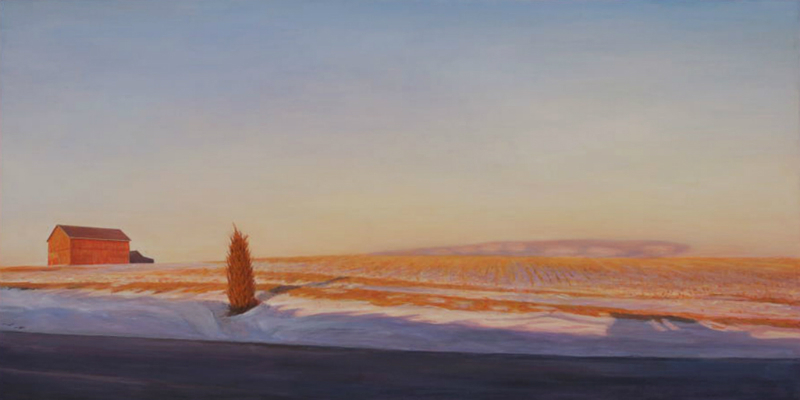 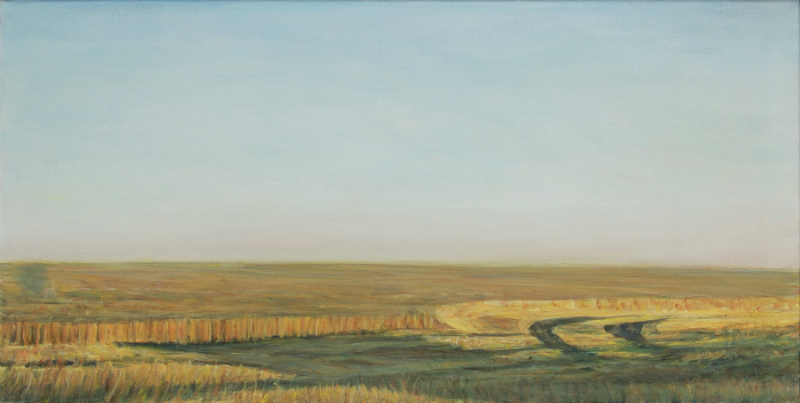 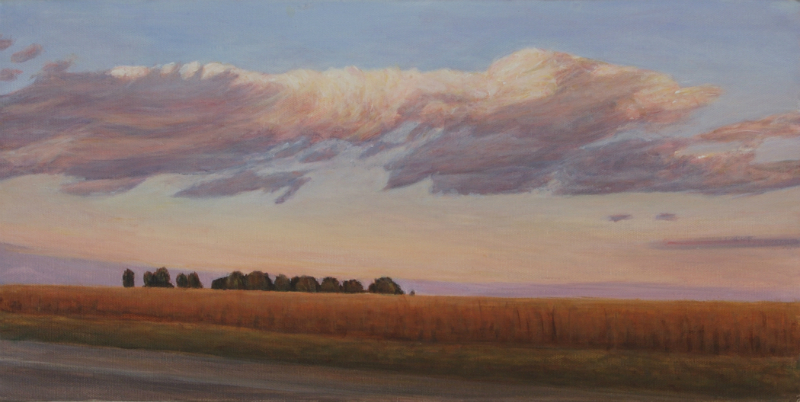 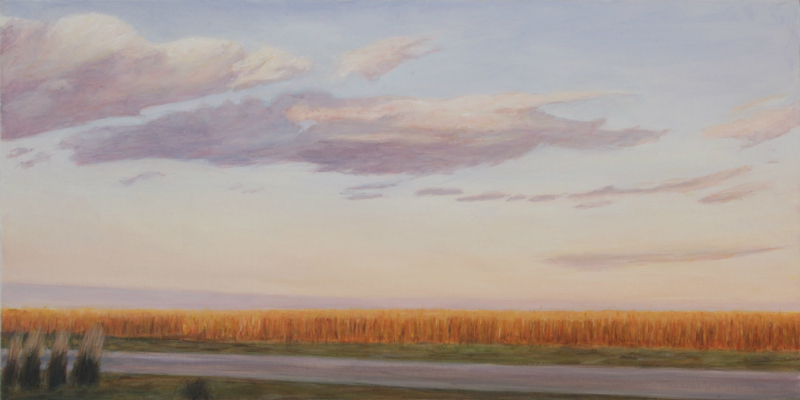 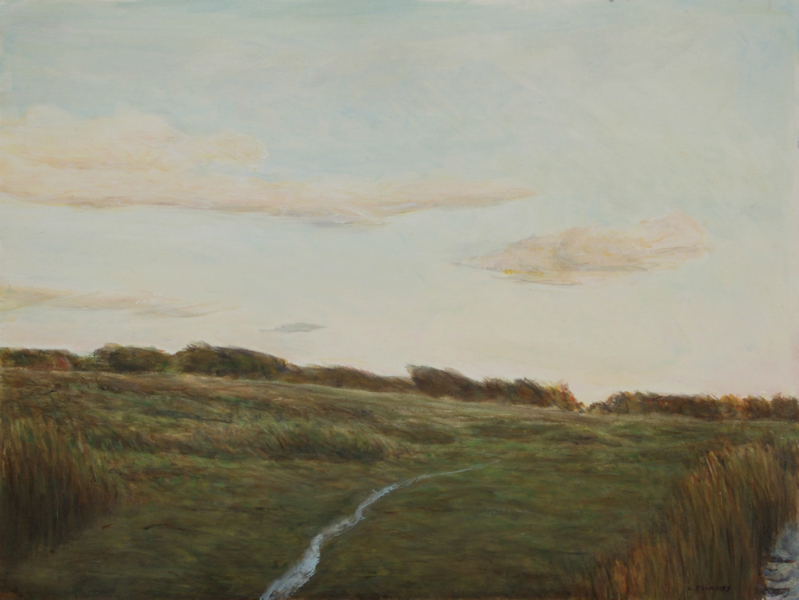 His unique painting method with acrylic paints is applied onto canvas in very thin layers exposing, at times, the gessoed surface beneath to achieve a certain atmospheric glow and realism in his subject matter, a breath of life of a farming community yielding the richest farmland in the world. 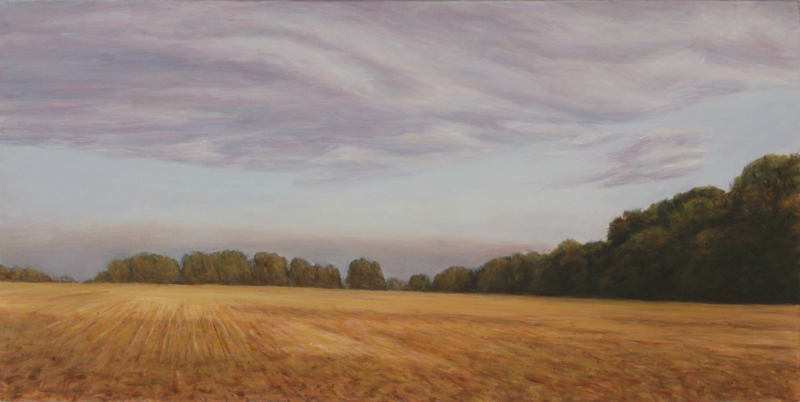 These images are worth remembering, an important way of life not so very long ago.